The Newsletter didn't getout last Friday. I am still nursing a cold (but much better — thanks), helping a sick friend, and trying to figure out some new software. Anyway . . . every time I think I have figured out how to author a web page with all the fancy graphics, fonts, and animations, they change the rules. I have had a very frustrating week trying to update all the many pages on my web site with a new (and complaint) navigation system. I have even enlisted some off-shore developers to help me and it appears that they finally got it right today. So please don't panic. 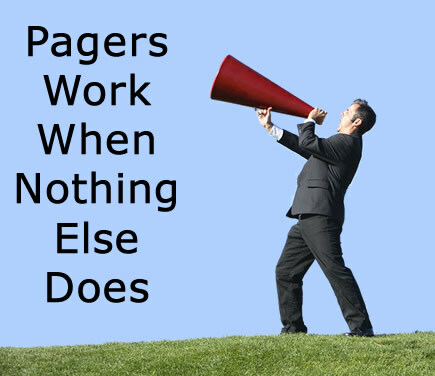 Brad hasn't "lost it" (not yet) and the navigation bars at the top of the Paging Information Resource pages and The Wireless Messaging News pages should all be functioning with new code in the near future. For now some of them just look a little strange. Each new year I like to remind readers that articles for publication in the newsletters will be happily accepted. So you are invited to contribute. When I first started writing technical articles 28 years ago at Motorola, I told some of my friends that I felt a little unsure about my writing because there were so many people more qualified. I remember the comment that spurred me on, "Brad there may or may not be others more qualified than you but they don't write. If you don't do it it wont get done." 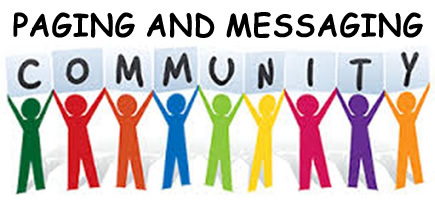 So if you have information of interest to the Paging and Wireless Messaging Communities please contribute it to the Paging Information web site and this newsletter. Don't take it to the grave with you. Don't miss the LETTER TO THE EDITOR from Jim Nelson announcing that CMA-America and CMA-Europe will merge. This newsletter has been published almost every Friday for over sixteen years. 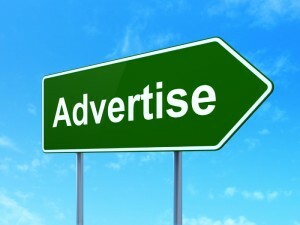 If you like it, or if you have benefited from any of the news that has been re-published here, a donation or a new advertisement to help cover expenses would be sincerely appreciated. This would be a good time to use up the rest of this year's advertising budget. Please click on the Donate button in the right-hand column and send what you can. 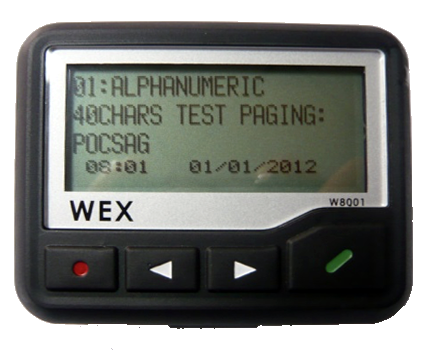 A free, weekly, online newsletter about Paging, Wireless Messaging, and Related Technology. The Federal Communications Commission (FCC) has released a Public Notice detailing the effects of a continued partial lapse in federal government funding and has announced that it will suspend most operations mid-day on Thursday, January 3, 2019. Systems unavailable during a shutdown will include the Universal Licensing System (ULS) among others. During the shutdown, the Enterprise Wireless Alliance (EWA) will conduct business as usual. EWA personnel will be available Monday through Friday from 8:30 a.m. until 5 p.m., Eastern time, to assist with spectrum management or to provide other support. EWA continues to accept applications via its standard methods, including via Cevo® and Cevo Go™ for Industrial/Business and Public Safety radio spectrum. EWA will perform all customary services requested, and when the shutdown has ended, EWA will submit all applications to the FCC. You may monitor the status of your applications in Cevo throughout and following the FCC's shutdown. If you have questions about using Cevo or Cevo Go, EWA's application submittal tools, please contact your EWA Spectrum Advisor or call Customer Service at 800-482-8282. Simple in nature, the new RF-sampling receiver architecture yields major benefits at VHF, UHF, and microwave levels. The critical component in all digital communications receivers is the analog-to-digital converter (ADC). The ADC sampling rate, bandwidth, and noise tolerance establishes the specifications and performance of the receiver. However, receiver architecture also plays a major role in its performance. An architecture that significantly improves performance over previous designs is direct RF sampling—and it’s become more practical than ever thanks to the availability of fast wideband ADCs. Perhaps the most widely used receiver architecture is the superheterodyne, where the received signal is downconverted to a lower intermediate frequency (IF) by a mixer before filtering and demodulation. In a typical arrangement (see the figure, a), the bandpass filter (BPF) narrows the bandwidth and the low noise amplifier (LNA) boosts the signal level. The local-oscillator (LO) frequency mixes with the incoming signal to produce a lower IF. The signal modulation, bandwidth, and data are retained. A demodulator recovers the original data. One major disadvantage of the superhet is that it uses many circuits and filters, increasing the cost. In addition, the local oscillator (LO), often a PLL synthesizer, adds phase noise and jitter. Perhaps the biggest downside is that the mixing process generates images that can cause interference to the signals being received. Some designs are dual- or triple-conversion types, where two or three downconversions (or an upconversion in some cases) are used to provide image rejection. Microwave and millimeter-wave signals in the 1- to 300-GHz range are routinely mixed down to an IF in the 70- to 500-MHz range. That’s been done primarily due to the speed limitations of available ADCs and fast DSP processors. However, the availability of faster ADCs and DSP/ FPGAs is changing that scenario. 1. The classical superheterodyne receiver architecture is still widely used but has some disadvantages at the very high frequencies (e.g., images are a perpetual problem) (a). The direct conversion receiver mixes the incoming signal with a local oscillator of the same frequency, resulting in the direct recovery of the baseband data being transmitted (b). The direct RF sampling receiver architecture is simple and offers multiple advantages at VHF, UHF, and microwave frequencies (c). Another popular architecture is the direct conversion receiver (see the figure, b). The LO frequency is equal to the in coming signal frequency, and the mixing of the two produces an intermediate frequency of zero. This zero IF architecture downconverts the RF signal directly to baseband. The positive result is less circuitry, lower cost, and complexity, and a more accommodating ADC sampling rate. 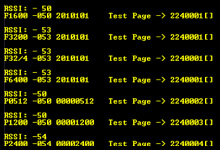 No images are generated, but the zero IF receiver presents a DC offset problem and LO leakage to the input. Nonetheless, it is widely used. A receiver architecture that’s gaining in popularity is direct RF sampling. RF sampling is the process of directly digitizing the received signal with no downconversion (see the figure, c). Some filtering and RF amplification typically occurs prior to the ADC. For this to work, the ADC must be fast enough to sample the input signal within the Nyquist limits of the device. 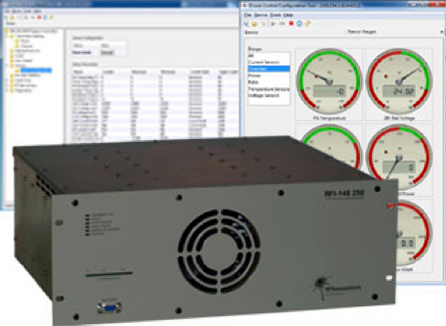 A sampling rate of at least 2.5 times the highest frequency content is required. A common minimum sampling rate is greater than twice the bandwidth of the signal to be received, otherwise known as oversampling. Oversampling offers the benefit of reducing the quantization noise produced by the sampling process. This greatly improves the signal-to-noise ratio (SNR). The simpler receiver signal chain offers some significant benefits. Fewer stages generally mean lower cost and better noise figure. Higher RF gain may be needed to offset the gain of the mixer and any IF amplifier, but the overall noise figure will be improved. An image problem does not exist. The local-oscillator feedthrough and spur issues are also vanquished. It eliminates a local oscillator, but is essentially replaced by the ADC sampling clock. This architecture typically offers greater flexibility for frequency planning in design, a modern necessity because of the wide range of potential interference sources and targets. A super-fast ADC potentially opens up a lot of application doors, particularly in RF communications. Some examples are software-defined radios (SDRs) of all types, satellite communications, radar, communications test equipment, forthcoming 5G radios, and digital sampling oscilloscopes. Fast ADCs can be a major benefit in electronic-warfare (EW) equipment, where the core component is one or more receivers in radars, military radios, and signal-intelligence devices. For example, expect major performance strides to be made in phased-array radars, where each antenna element in the array has its own receiver chain and ADC. Wide-bandwidth receivers let radars detect and process more targets, ultimately providing an advantage over the enemy. Another forthcoming use is large-scale MIMO systems for cellular base-stations. 2. The TIDA-01442 reference design implements and demonstrates a direct RF-sampling receiver for a radar receiver operating in HF, VHF, UHF, L-, S-, C-, and part of X-band. Typical of the fast new ADCs is Texas Instruments’ ADC12DJ3200, a dual-channel 12-bit converter. It offers a sampling rate of 3.2 Gsamples/s per channel or 6.4 Gsamples/s in an interleaved single-channel application. 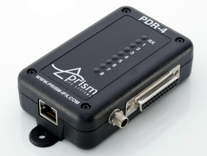 The differential analog inputs are buffered and the −3-dB bandwidth is an impressive 8 GHz. This makes the device suitable for use with L-, S-, and C-band radar, in addition to other applications. Another key feature is a noise floor in the −151.8- to −154.6- dBFS/Hz range. Some other important specs are a signal-to-noise ratio (SNR) of 56.6 dB and a spurious-free dynamic range (SFDR) of 67 dB. The ADC outputs are JESD204B serial data interfaces with a maximum lane rate of 12.8 Gb/s. Dual digital downconverters (DDCs) are also included on-chip. Four 32-bit numerical-controlled oscillators allow decimation by 2x, 4x, 8x, or 16x. Decimation removes samples from the ADC output at regular intervals to decrease the sample rate so that the data can be accommodated by the processing circuits. To evaluate the capabilities of the ADC12DJ3200, Texas Instruments offers the TIDA-01442 reference design that uses the ADC12DJ3200 evaluation module (EVM) (Fig. 2). It demonstrates a direct RF-sampling receiver for a radar receiver operating in HF, VHF, UHF, L-, S-, C-, and part of the X-band. The wide analog input bandwidth and high sampling rate (6.4 Gsamples/s) of the ADC provide multiband coverage 2. The TIDA-01442 reference design implements and demonstrates a direct RF-sampling receiver for a radar receiver operating in HF, VHF, UHF, L-, S-, C-, and part of X-band. 2 ELECTRONICDESIGN..COM with a single or dual ADC. The direct RF-sampling capabilities of the ADC reduce the component count by eliminating several downconversion stages, thereby reducing overall system complexity. High-speed multichannel ADC applications require precise clocking solutions capable of managing channel-to-channel skew to achieve optimal system SNR, SFDR, and ENOB. That makes the clock for the ADC a critical component if the desired benefits are to be achieved. TI offers the solution in the form of its LMX2594, a wideband RF phase-locked-loop (PLL) IC with integrated VCO. This PLL supports both fractional-N and integer-N modes, and provides an on-chip 32-bit fractional divider that permits fine frequency tuning of clock frequency. This IC offers critical specifications such as −110-dBc/Hz phase noise at 100-kHz offset with a jitter of 45 fs rms at 7.5 GHz. Support is provided for a JESD204B interface and SYDREF. TI also offers a reference design for this device. Designated the TIDA-01021, the reference design uses the ADC12DJ3200 ADC evaluation module. It supports two high-speed channels on separate boards by using the LMX2594 wideband PLL. Representative performance indicates a board-to-board clock skew of <10 ps with an SNR of 49.6 dB using a 5.25-GHz input signal. Austrian Infrastructure Minister Norbert Hofer plans to implement a public warning SMS system based on cell broadcast this year. It will be used to warn the local population in the event of an emergency situation. The EU's new communications code outlines new requirements to extend such services in the coming years. According to Hofer, the ministry will enter into negotiations with stakeholders on the implementation of the new system. 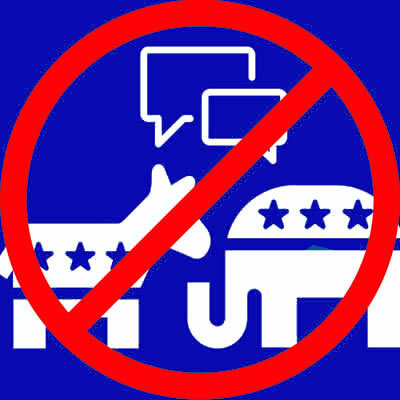 On Thursday, January 3, the FCC shut down as a result of the current lapse in federal government funding. On January 2, the FCC issued a Public Notice announcing how filing and database systems, filing deadlines, regulatory and application fee payments, and transaction shot clocks will be affected. Please refer to the January 2 edition of the BloostonLaw Telecom Update for more information. Please note that Auction 101 continues as scheduled. Other items reported below may also be affected by the shutdown. The draft text of each item expected to be considered at the next Open Commission Meeting is linked in the short descriptions above. One-page cover sheets are included in the public drafts are intended to help summarize each item. The final items actually considered at the Open Meeting may differ substantially. On January 9, the Universal Service Administrative Company (USAC) issued a reminder about the upcoming HUBB (High Cost Universal Broadband) portal filing due March 1, 2019. Specifically, carriers participating in Connect America Fund (CAF) Phase II, Alternative Connect America Cost Model (A-CAM), Rural Broadband Experiments (RBE), Alaska Plan, and Connect America Fund-Broadband Loop Support (CAF-BLS) programs must file broadband deployment data with USAC where they are building out mass-market, high-speed Internet service. This information includes latitude and longitude coordinates for every location where service is available. Carriers that did not deploy any locations in 2018 must still log into the HUBB and certify “no locations to upload” by March 1, 2019.
carriers participating in CAF-BLS that are 80 percent or more deployed at 10/1 (delivering download speeds of at least 10 megabits per second and upload speeds of at least 1 megabit per second) based on their 2015 Form 477 filings do not have to report deployment data through the HUBB portal. Carriers with questions about the HUBB portal filing should contact the firm for more information. The Universal Service Administrative Company (USAC) issued a notice indicating that the FCC Form 555 (Annual Lifeline ETC Certification Form) is now available for the 2018 filing in its E-File system. The form is due Thursday, January 31, 2019, to USAC, the FCC, and state regulatory commissions, unless one of the FCC’s Hurricane Relief Orders applies. Lifeline service providers are required to re-certify each of their Lifeline customers by the customer’s anniversary date – i.e., 12 months from the customer's service initiation date, or the date when their eligibility was last verified – each year. Form 555 reports the results of the annual rolling recertification process and includes data accuracy certifications. According to a recent webinar by USAC, Lifeline service providers in the states in which the National Verifier has launched are still required to file Form 555. Specifically, those providers doing business in the first launch states – Colorado, Mississippi, Montana, New Mexico, Utah, and Wyoming – must enter 0 for subscribers in those states, and providers doing business in second launch states and/or territories – Guam, Hawaii, Idaho, New Hampshire, North Dakota, and South Dakota – are still responsible for any anniversary dates that fall within the 60 day window of October 15, 2018 (due to the January 15 launch date for those states and/or territories). Carriers with questions about Form 555 or Lifeline recertification obligations should contact the firm for more information. The FCC recently issued a $93,000 consent decree against Mobile Communications America, Inc. (Mobile Communications) for engaging in a series of unauthorized transfers of control and assignments of license beginning in 2013. 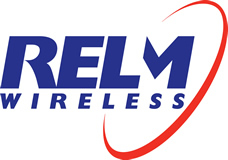 Mobile Communications, a privately held corporation, was created for the sole purpose of acquiring the ownership interests of Mobile Communications of Hall, LLC and Mobile Communications of DeKalb, Inc., as well as any other radio sales and service companies it may seek to purchase in the future. In 2018, Mobile Communications discovered that over the prior four year period, it had completed stock or asset transactions that involved more than 50 separate licenses without first obtaining prior authorization from the FCC, and that at least two of its licenses had inadvertently been allowed to expire without being renewed. The licenses involved in these transactions were in both the Part 90 Private Land Mobile Services and the Part 22 Public Mobile Services. As a result of these numerous acquisitions, Mobile Communications now has operations in seven states. It is critically important that clients be aware of the FCC’s requirements concerning transfers and assignments. While it is clear that transactions involving acquisitions of unrelated entities would be subject to prior FCC authorization, many clients are surprised that pro forma transactions – in which the beneficial ownership or control of the licensee is not changed – also require prior FCC authorization. It is important to note that depending upon the radio service involved in the transaction, it could take the FCC a substantial period of time to process an application for assignment or transfer of an FCC license. As a result, you should contact our office the moment a transaction is on the horizon – even though you may not yet have a definitive agreement since this case clearly demonstrates that the FCC will not hesitate to take enforcement action for unauthorized transactions. On January 3, the FCC released the text of its Third Report and Order, originally adopted December 13, in which it extended the timeframe for the collection of speed test data for the Mobility Fund Phase II (MF-II) challenge process by 90 days. According to the FCC, this change allows challengers’ speed test data collected on or after February 27, 2018, and through the entire 240-day challenge window, to be submitted and considered with a challenge. Similarly, the FCC extended by at least 90 days the timeframe for the collection of information to respond to a challenge. These extensions give effect to the FCC’s recent decision in the MF-II Challenge Process Extension Order to extend the MF-II challenge window by 90 days, for a total challenge window of 240 days. The net result is that the FCC will accept speed test data for MF-II challenges collected on or after February 27, 2018, through the new close of the challenge window, November 26, 2018. “I congratulate Geoffrey on his Senate confirmation. He brings a wealth of experience and expertise, including having served most recently as Assistant Chief in the Enforcement Bureau. During his confirmation hearing, I was excited to hear him highlight the need to expand rural broadband and the power of telemedicine. I look forward to working with him and having a fellow Kansan on the Commission. “I congratulate Geoffrey Starks on his Senate confirmation and welcome him to the Commission. I look forward to working together on a broad range of our shared goals, from protecting consumers to serving the public interest to ensuring that every American has a fair shot at success in the digital age. BloostonLaw Contacts: Ben Dickens and Sal Taillefer. In December, the FCC published in the Federal Register a Public Notice seeking Paperwork Reduction Act (PRA) comments on the extension of approval of the report required by section 64.1310(d) of the FCC's rules. Comments are due February 19. This report requires local exchange carriers to provide to carriers required to pay compensation pursuant to the FCC’s payphone compensation obligation, a quarterly report listing payphone ANIs. According to the FCC, without provision of this report, resolution of disputed ANIs would be rendered very difficult. Carriers would not be able to discern which ANIs pertain to payphones and therefore would not be able to ascertain which dial-around calls were originated by payphones for compensation purposes. There would be no way to guard against possible fraud. Without this collection, lengthy investigations would be necessary to verify claims. Unlike traditional FCC comments, PRA comments must focus on: (i) whether the proposed collection of information is necessary for the proper performance of the functions of the FCC, including whether the information will have practical utility; (ii) the accuracy of the FCC’s burden estimate; (iii) ways to enhance the quality, utility, and clarity of the information collected; (iv) ways to minimize the burden of the collection of information on the respondents, including the use of automated collection techniques or other forms of information technology; and (v) ways to further reduce the information burden for small business concerns with fewer than 25 employees. BloostonLaw routinely prepares PRA comments and is available for assistance. MARCH 1: COPYRIGHT STATEMENT OF ACCOUNT FORM FOR CABLE COMPANIES. 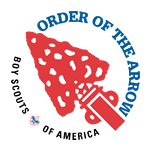 This form, plus royalty payment for the second half of calendar year 2018, is due March 1. The form covers the period July 1 to December 31, 2018, and is due to be mailed directly to cable TV operators by the Library of Congress’ Copyright Office. If you do not receive the form, please contact the firm. MARCH 1: CPNI ANNUAL CERTIFICATION. Carriers should modify (as necessary) and complete their “Annual Certification of CPNI Compliance” for 2019. The certification must be filed with the FCC by March 1. Note that the annual certification should include the following three required Exhibits: (a) a detailed Statement Explaining How The Company’s Operating Procedures Ensure Compliance With The FCC’S CPNI Rules to reflect the Company’s policies and information; (b) a Statement of Actions Taken Against Data Brokers; and (c) a Summary of Customer Complaints Regarding Unauthorized Release of CPNI. A company officer with personal knowledge that the company has established operating procedures adequate to ensure compliance with the rules must execute the Certification, place a copy of the Certification and accompanying Exhibits in the Company’s CPNI Compliance Records, and file the certification with the FCC in the correct fashion. Our clients can forward the original to BloostonLaw in time for the firm to make the filing with the FCC by March 1, if desired. BloostonLaw is prepared to help our clients meet this requirement, which we expect will be strictly enforced, by assisting with preparation of their certification filing; reviewing the filing to make sure that the required showings are made; filing the certification with the FCC, and obtaining a proof-of-filing copy for your records. Clients interested in obtaining BloostonLaw's CPNI compliance manual should contact the firm. (2) Providers of Wired or Fixed Wireless Local Telephone Services: Incumbent and competitive LECs must complete and file the applicable portions of the form for each state in which they provide local exchange service to one or more end user customers (which may include “dial-up” ISPs). 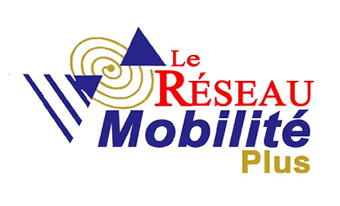 (3) Providers of Mobile Telephony Services: Facilities-based providers of mobile telephony services must complete and file the applicable portions of this form for each state in which they serve one or more mobile telephony subscribers. A mobile telephony service is a real-time, two-way switched voice service that is interconnected with the public switched network using an in-network switching facility that enables the provider to reuse frequencies and accomplish seamless handoff of subscriber calls. A mobile telephony service provider is considered “facilities-based” if it serves a subscriber using spectrum for which the entity holds a license that it manages, or for which it has obtained the right to use via lease or other arrangement with a Band Manager. 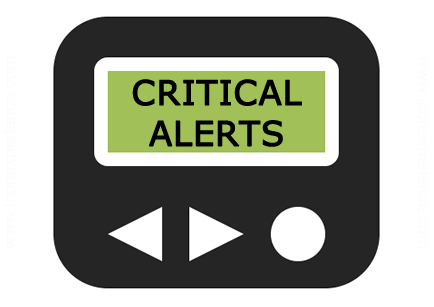 Jan. 9 – Comments on Wireless Resiliency are due. Jan. 10 – Comments are due on Cable Rate Regulation Revision FNPRM. Jan. 18 – Comments are due on State 911 Fee Report. Jan. 24 – Reply comments on Wireless Resiliency are due. Feb. 4 – Comments are due on State 911 Fee Report. Feb. 11 – Comments are due on Cable Rate Regulation Revision FNPRM. Feb. 19 – PRA comments are due on Payphone ANI Report. Mar. 1 – HUBB Portal Filing is due. At 12 Midnight on Friday, December 21, 2018, funding lapsed for approximately 25 percent of the Government to continue operations. Among the affected agencies are the Federal Communications Commission and the Federal Aviation Administration. The FCC has indicated that it has sufficient funding to continue operations until at least Wednesday, January 2, 2019. We anticipate that the FCC will provide further guidance as we near that date should Congress not have acted to provide a funding bill that the Administration will sign into law. In a related matter, the FCC has also indicated that the partial government shutdown will have no impact on its ongoing 28 GHz spectrum auction, and that bidding will continue irrespective of whether the FCC is otherwise open or closed. The FCC has proposed to expand the unlicensed use of portions of the 1200 megahertz of spectrum in the 5.925-7.125 GHz (“6 GHz”) band. Comments will be due February 15, 2019 and Reply Comments will be due March 18, 2019. Against this back drop, the FCC has made clear that it will need to ensure that licensed services operating in the band will continue to thrive. In making this proposal, the FCC recognized that the ability of unlicensed devices to use this band may also complement new licensed 5G services by allowing providers to offer a full range of services to consumers, while at the same time, secure U.S. leadership in the next generation of wireless services. A variety of incumbent licensed services occupy different portions of the 6GHz band. As a result, the FCC proposes to tailor rules that will support the compatibility of unlicensed operations in each portion of the band, by ensuring that its proposed rules are consistent with existing technical requirements that are applicable to Unlicensed National Information Infrastructure (U-NII) devices that already operate in the 5 GHz band. Under the FCC’s proposal, unlicensed devices that are capable of providing increased Internet connectivity on a low-cost basis would be permitted to operate in portions of two 6 GHz sub-bands (totaling 850 megahertz of spectrum), subject to their use of an equipment-based frequency coordination mechanism that would prevent the unlicensed devices from transmitting on frequencies where such transmissions could cause harmful interference to incumbent operations. Lower powered indoor operations—which the FCC anticipates will be dominated by devices deployed ubiquitously inside homes and businesses—would be permitted to operate in two other sub-bands (totaling 350 megahertz of spectrum). The 6 GHz band is exclusive non-federal spectrum and is host to over almost 48,000 incumbent radio stations operating on a primary basis in the following radio services: (a) fixed microwave point-to-point services, (b) Fixed-Satellite Service (FSS), (c) Broadcast Auxiliary Service, and (d) Cable Television Relay Service. The FCC notes that the fixed microwave services are used for highly reliable point-to-point microwave links that support a variety of critical services such as public safety (including backhaul for police and fire vehicle dispatch), coordination of railroad train movements, control of natural gas and oil pipelines, management of electric grids, long-distance telephone service, and backhaul for commercial wireless providers such as traffic between commercial wireless base stations and wireline networks. In this regard, the 5.925-6.425 GHz (U-NII-5) and 6.525-6.875 GHz (U-NII-7) bands are the most heavily used by the common carrier fixed point-to-point microwave service and private operational fixed point-to-point microwave service licensees. And, in the 6.875-7.125 GHz (U-NII-8) band, fixed service links are restricted from intersecting with the service areas of television pick up stations, which effectively limits the use of the band by common carrier and operational fixed point-to-point microwave services. The FCC is proposing to expand the unlicensed use in both the U-NII-5 and U-NII-7 bands. The FCC’s proposed rules are intended to provide an opportunity for devices such as smartphones, Wi-Fi routers, and IoT devices to be economically designed to operate across both the 6 GHz and U-NII bands. The new unlicensed uses proposed by the FCC are designed to protect important incumbent licensed services that operate (and continue to grow) in various sub-bands of this spectrum. Under the proposed rules, the FCC believes that unlicensed use of the band will be compatible with these incumbent licensed services. To do this, the FCC has proposed to divide the 6 GHz band into four sub-bands, each based on the prevalence and characteristics of the incumbent services that operate in that spectrum. In the 5.925-6.425 GHz and 6.525-6.875 GHz sub-bands of the 6 GHz band, the FCC would permit only “standard-power access points”—using power levels permitted for unlicensed use in the U-NII-1 and U-NII-3 bands – to operate on frequencies determined by an AFC system. Other portions of the 6 GHz band, specifically the 6.425-6.525 GHz and 6.875-7.125 GHz sub-bands (totaling 350 megahertz), are used by mobile stations where the locations of the incumbent receivers are not necessarily known or cannot be easily determined from existing databases. Because the lack of location information on mobile stations makes an AFC approach impractical, the FCC has proposed to allow only indoor “low-power access point” operation in these sub-bands – using lower, more restricted power levels applicable to operations in the U-NII-2 band. The FCC would also permit client devices to operate across the entire 6 GHz band while under the control of either a standard-power access point or a low-power access point. The FCC has indicated that its proposals would be designed to create an enhanced ecosystem of unlicensed use in the 6 GHz band and the nearby U-NII bands, while at the same time protecting the licensed services that operate in the 6 GHz band. Clients interested in participating in this proceeding should contact our office. As we reported last month, the FCC has modified its rules to accelerate the transition to 406 MHz Emergency Locator Transmitters (ELTs) in order to enhance the ability of search and rescue personnel to locate and rescue victims of plane crashes. Based on the release of a Federal Register notice about the adoption of ELT order, the new rules will be effective January 11, 2019. Currently, there are two types of ELTs in service – those that operate on 121.5 MHz and those on 406 MHz. The 406 MHz ELTs transmit a 406 MHz digital distress signal containing information on the type of emergency, the country and identification code of the beacon, and other data to assist search and rescue operations; and a lower-powered homing signal on 121.5 MHz to guide search and rescue teams to the aircraft once they arrive in the general area. The 121.5 MHz ELTs on the other hand transmit an analog signal on 121.5 MHz containing only an audio alert which is intended to serve both as a distress signal and a homing signal. The 121.5 MHz ELT does not include the additional information that is provided by the 406 MHz ELT. Recently, the National Oceanic and Atmospheric Administration, the US Coast Guard, the US Air Force and NASA also advised users to make the switch to the 406 MHz ELT. Since that time, the FCC has determined that it will now prohibit the certification of 121.5 MHz ELTs, and after a six-month transition period, the manufacture, importation and sale of those devices, so that it can accelerate the transition of ELTs from 121.5 MHz to 406 MHz. While the FCC is prohibiting the certification, manufacture, importation and sale of 121.5 MHz ELTs, it is not prohibiting the use of those devices. As required by the Federal Civil Penalties Inflation Adjustment Act Improvements Act of 2015 (the “2015 Inflation Adjustment Act”), the FCC is making its annual adjustment to the forfeiture amounts covered under its rules and Forfeiture Policy. The “2015 Inflation Adjustment Act requires federal agencies, such as the FCC to publish these annual adjustments by January 15 of each year. The 2015 Inflation Adjustment Act provides that the new penalty levels apply to penalties assessed after the effective date of the increase, which will be January 15, 2019, even if the violation had occurred before the increase was announced. The determination for the annual inflation adjustments are based upon guidance issued by the Office of Management and Budget (“OMB”), using adjustment multiplier for 2019, which is: 1.02522. The resulting forfeiture penalty base amount is then rounded up or down to the nearest whole dollar. Below is a sampling of the maximum forfeiture amounts for both 2017 and 2018 in dollars for each day of violation as well as the maximum for any single act or failure to act. In looking at these forfeiture amounts, it is important to remember that the FCC can treat each day of a violation as a separate violation. The FCC’s report states that in 2017, states and territories collected more than $2.9 billion in 911 fees from wireline and wireless subscribers. Of that amount, approximately $285 million (or 9.7%) was diverted by state and territorial governments to other uses. The FCC’s report noted that the following six states and one territory had diverted 911 fees for other uses last year: Montana, New Jersey, New York, Nevada, Rhode Island, West Virginia, and the U.S. Virgin Islands. The report also contains detailed state-by-state data on other aspects of the 911 deployment in the United States, including: (a) number and type of 911 calls, (b) number of 911 call centers and telecommunicators, (c) investment in Next Generation 911, (d) programs to support cybersecurity for 911 system (something that is critical given recent ransomware breaches) and (e) the extent of state-level oversight and auditing of the collection and use of 911 fees. On December 7, the FCC published in the Federal Register its Report and Order in GN Docket No. 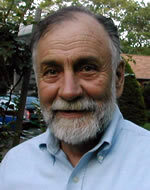 17-258, in which it adopts limited changes to the rules governing Priority Access Licenses (PALs) that will be issued in the 3500-3700 MHz Band (3.5 GHz band)—including larger license areas, longer license terms, renewability, and performance requirements—as well as changes to the competitive bidding rules for the issuance of PALs and to the ability to partition and disaggregate areas within PALs. These rule revisions will be effective January 7. However, compliance will not be required for § 96.23(a) (initial PAL application), § 96.25(b)(PAL performance requirements), or § 96.32(b)(PAL portioning or disaggregating rules) until after approval by the Office of Management and Budget. Seven County-Sized PAL Licenses. The FCC concluded that increasing the size of the PAL license area from census tracts to counties would be the best way to promote a variety of use cases (such as low-power small cells and wide-area mobile networks) in the 3.5 GHz band. Ten-Year Renewable License Terms. The FCC extended PAL license terms to 10 years and makes such licenses renewable in order to maximize incentives for large scale investments in the 3.5 GHz band. The FCC also concluded that the economics and upgrade cycles of 3.5 GHz band deployments will likely be closer to those in other bands used for mobile broadband, such as those bands addressed in Spectrum Frontiers, for which the FCC also adopted a ten-year renewable license term. End-of-Term Performance Requirements. The new rules require PAL licensees to provide a bona fide communications service that meets a “substantial service” standard of performance, and provide two specific safe harbors to meet this standard, one for mobile or point-to-multipoint services and a second for point-to-point services. A licensee providing a mobile service or point-to-multipoint service is able to demonstrate substantial service by showing that it provides reliable signal coverage and offers service over at least 50 percent of the population in the license area. A licensee deploying a point-to-point service is able to demonstrate substantial service by showing that it has constructed and operates, using Category B CBSDs, at least four links in license areas with 134,000 population or less, and at least one link per 33,500 population (rounded up) in license areas with greater population. Licensees are able to fulfill their performance requirements by showing that they meet at least one of these safe harbors, or they may make an individualized showing of substantial service by relying, for example, on a combination of different services for which there is a safe harbor or on services for which there is no defined safe harbor. Aside from the main changes summarized above, the FCC ensured that 7 PALs are available for bidding nationwide and allowed the use of bidding credits for small businesses, rural service providers and Tribal entities. The revised 3.5 GHz rules also allow partitioning and disaggregation of PALs on the secondary market. With respect to technical rules, the R&O updates information security requirements to protect sensitive CBRS device registration information while still ensuring that aggregate data on spectrum use is publicly available. The rules also facilitate transmission over wider channels without significant power reductions. On December 11, the House Committee on Energy and Commerce’s Subcommittee on Communications and Technology held a hearing entitled “RAY BAUM’S Act: A Bipartisan Foundation for Bridging the Digital Divide.” Mr. Curtis LeGeyt, Executive Vice President, Government Relations, National Association of Broadcasters; Mr. Tim Donovan, Senior Vice President, Legislative Affairs, Competitive Carriers Association; Mr. Jeff Cohen, Chief Counsel, APCO International; and Mr. Bohdan Zachary, General Manager, Milwaukee Public Broadcast Station were invited to be witnesses. Reauthorizes the FCC and includes reforms to ensure the FCC continues to improve its efficiency and transparency. Enacts key provisions from the Senate-approved MOBILE NOW Act to boost the development of next-generation 5G wireless broadband by identifying more spectrum – both licensed and unlicensed – for private sector use and reducing the red tape associated with building wireless networks. Authorizes a repack fund to address the shortfall in funding available to relocate broadcasters being displaced following the successful Incentive Auction, and set up new relocation funds for translators, low-power television, and radio stations that will be impacted by the repack – supplemented by a consumer education fund. Includes a spectrum auction deposit “fix” which allows the FCC to deposit upfront payments from spectrum bidders directly with the U.S. Treasury. This step is important as future auctions are in limbo until the upfront payment mechanism is resolved. Directs the FCC to craft a national policy for unlicensed spectrum that includes certain specific considerations and recommendations. Advances proposals that would help the FCC and law enforcement protect consumers from fraudulent telephone calls, and to educate Americans about their options to stop these illegal calls. 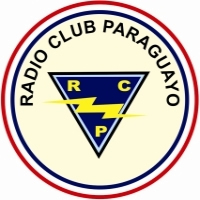 On December 12, 2018, the FCC’s Enforcement Bureau announced the joint FCC/Westchester County investigation of a pirate radio operator in Croton-On-Hudson, New York that resulted in the arrest and arraignment of Richard Dominguez on the charge of making unauthorized radio transmissions. The joint investigation resulted from a complaint that Mr. Dominguez was operating an illegal radio station on the frequency 98.5 MHz. The investigation by the FCC’s Enforcement Bureau resulted in the seizure of Mr. Dominguez’s radio equipment and criminal prosecution. It is important to note that in addition to enforcement action by the FCC for unlicensed operation, pirate radio operations can also be referred to federal, state or local authorities for criminal prosecution – which can result in additional fines and or imprisonment. In announcing this investigation, the FCC’s Enforcement Bureau reiterated its commitment to combating the operation of unlawful radio stations. The FCC stated that “[t]his crack down on such illegal activity has resulted in unlawful broadcast stations going off the air, seizure of equipment, fines against pirates, proposed fines against pirates and property owners actively aiding pirate radio operations, and other enforcement actions.” Additionally, the FCC has made clear that in order to enforce the law, it “works closely with partners like the Department of Justice and, where state laws apply, state and local law enforcement like the Westchester County District Attorney’s Office.” Like the case here, the FCC relies on complaints from the public and affected licensees to identify pirate radio operators that interfere with local radio service and other wireless operations. The FCC is seeking comment on a revised FCC Form 731 Application for Equipment Authorization. Comments are due January 17, 2019. The FCC has announced that it will be submitting a revised information collection to the Office of Management and Budget (OMB) following the conclusion of a 30-day comment period on January 17, 2019. OMB approval will be necessary to provide the FCC with the necessary three-year clearance to collect the information using the revised Form 731. The FCC has indicated that the new Form 731 will result in an increase in respondents/burden cost estimates to reflect the increased complexity of devices subject to the FCC’s rules and costs associated with testing by third-party test firms and review by Telecommunications Certification Bodies. At the same time, the changes in system and consolidation of different information collections will likely result in a reduction of burden hours. The FCC is seeking a revision of the Equipment Authorization information collection because of a redesign of the electronic system that collects the information (Equipment Authorization System) that streamlines the processes for filing the information associated with applications for equipment Certification pursuant to Part 2 (Subpart J) of the FCC’s Rules. The new electronic system will also allow the FCC to consolidate and combine information that is currently authorized separately. The new system is designed to process all data collections electronically and will eliminate repetitive information collection within applications as well as permit parties to reference previously submitted information at the time the equipment authorization application is submitted. The FCC’s rules require manufacturers of certain radio frequency (RF) equipment to obtain equipment authorization approval prior to marketing their equipment in the United States. Manufacturers may then market their RF equipment based on a showing of compliance with the applicable technical standards. The FCC typically adopts or modifies its technical standards in response to new technologies and in conjunction with changes to spectrum allocations. Under the equipment authorization rules there are two types of authorization processes: Certification and Suppliers Declaration of Conformity. Any client interested in filing comments should contact our office. Thank you for reporting the news of the paging and critical messaging industry for many, many years. 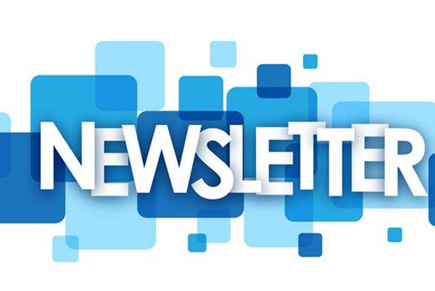 Your newsletter has been the main source of information for the industry and an important advertising and news outlet for the paging Associations even as they have changed names and direction to better represent the intended membership as the markets and user evolve. 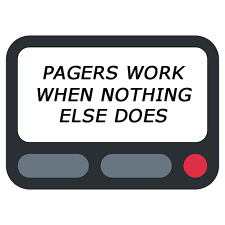 Accordingly, it’s very appropriate that I make this announcement in your Newsletter regarding the current paging industry association as it changes once more. Since 2012, Critical Messaging Association-America and Critical Messaging Association-Europe have been working together to expand our image as a unified entity. 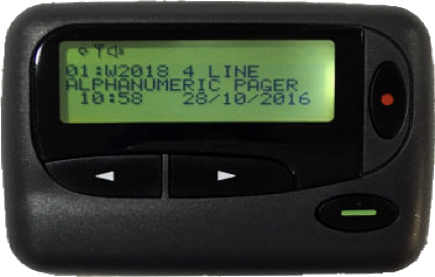 Because many of our members have traveled the world promoting the use of paging technology for critical messaging situations, CMA has become more widely recognized as an authority in the industry. With this recognition from all corners of the world comes a realization that we have achieved our goal we set when we signed the Cooperation Agreement in Stockholm in 2012. Therefore, on behalf of the CMA-A Board of Directors, I’m pleased to announce that CMA-America and CMA-Europe will merge into one global Critical Messaging Association, effective January 1, 2019, which will be headquartered in London, England. 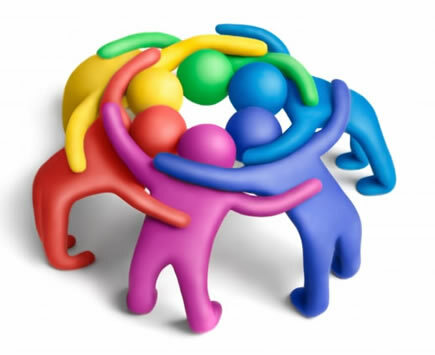 Uniting efforts will allow us to continue our advocacy in a more concentrated, organized manner while also controlling costs as the industry has evolved to more private paging and critical messaging systems. Changes are required to let us focus on these markets and the Members that service them. The new association will operate under a board comprised of CMA board members representing many countries who support the Association. Member services will be determined by the global CMA Board and will be administered by the London office which is managed by its Chairman, Derek Banner. 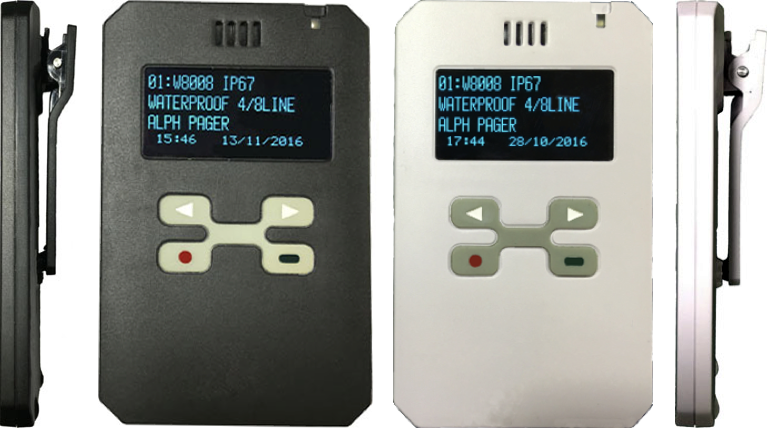 While the number of commercial paging services dwindle, we see significant opportunities for new uses of paging technology combined with other IoT technologies. Innovative device and system providers provide the new focus of critical messaging which will strengthen CMA as it moves ahead. We also look forward to expanding CMA’s presence in other countries where new opportunities and uses of paging technology are developing. CMA’s role is to in bring together system operators and equipment manufacturers to share ideas and promote new uses of the most reliable technology ever created for critical messaging. 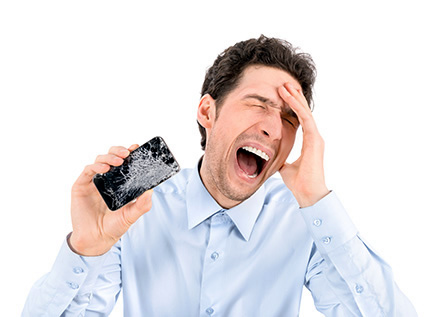 As we see many times each year, all over the world, paging technology-based systems continue to work when all other systems fail, and even in good times it still supplements other wireless systems as the 2nd channel, a backup method of critical messaging, and the most economic system deployment when compared to others. Today, in the US, many public safety and related emergency services are moving from their P25 and traditional mobile radio systems to FirstNet’s dedicated spectrum combined with AT&T’s large cellular network with largely expanded data and video services. 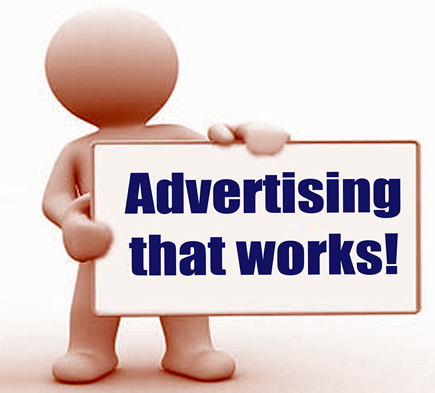 These qualified registered users will also receive prioritized service over non-qualified users. While we recognize the need to provide public will all necessary resource, and applaud FirstNet and AT&T on this initiative, we believe this will increase the probability that other critical messages will be delayed or even go undelivered as currently happens with many SMS and other mobile text messages. 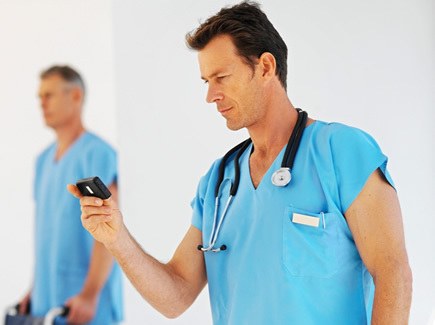 Paging systems have repeatedly been proven to be the most reliable and cost-effective method for emergency services. Even those who have been misled by false claims about the use of messaging apps on cellular phones continue to come back to paging. To the many members who have continued to support CMA-America, thanks for your membership as you have helped make CMA the uncontested voice for critical messaging. Current members are the kind of innovative and progressive business people that lead development and create new opportunities. We look forward to what happens next. As my final action, I want to say It has been my pleasure to serve as a Member, Director, Vice President and President of CMA-America for many years and I look forward to working with all of you as a member of CMA’s Board of Directors. Best wishes and Happy New Year to all. Ellen and I wish you the best for a happy, healthy, and prosperous New Year! A special song to serve as a reminder of uniting in love and peace! God Bless our World! Source: YouTube P.S. I like classical music too. Well . . . if you read this far, you must have liked it?